Is there any evidence for a real Jesus? Was Jesus' story borrowed from earlier religions and cultures? Is Jesus really the reason for the Christmas season, which is being celebrated globally this week? 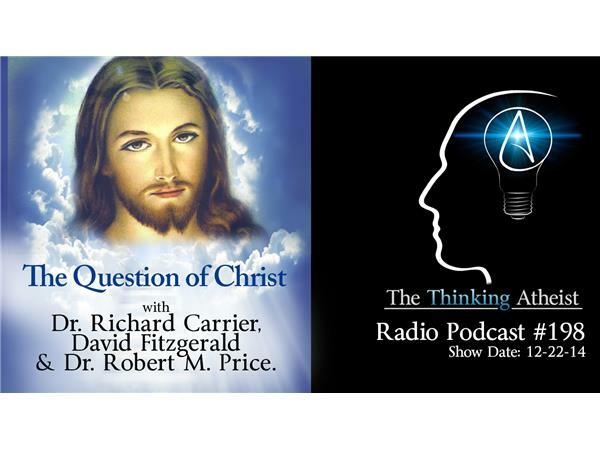 In this podcast, Seth Andrews speaks to three historians who have dedicated much of their lives and writings to the subject of Christ and Christianity: Dr. Richard Carrier, David Fitzgerald and Dr. Robert M. Price. Join us for a compelling panel and an enlightening show.